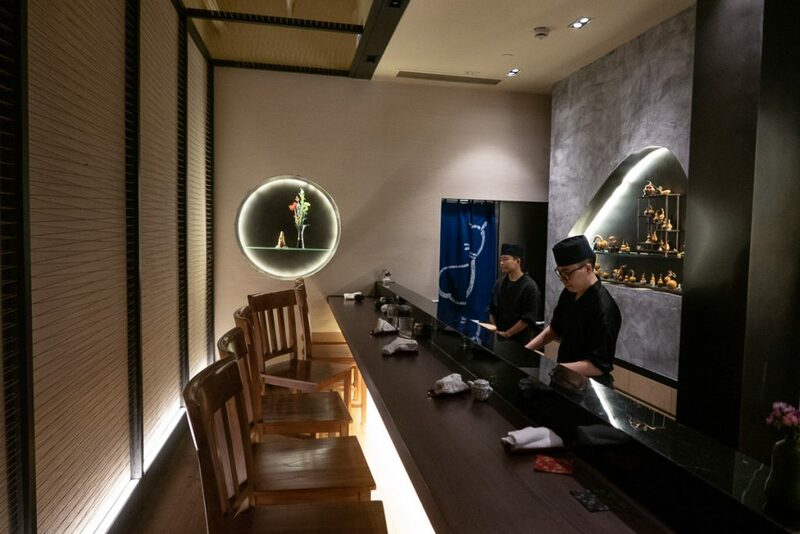 Hulu Sushi is a six-seater omakase restaurant by the pool at Columbia Circle, Changning district. 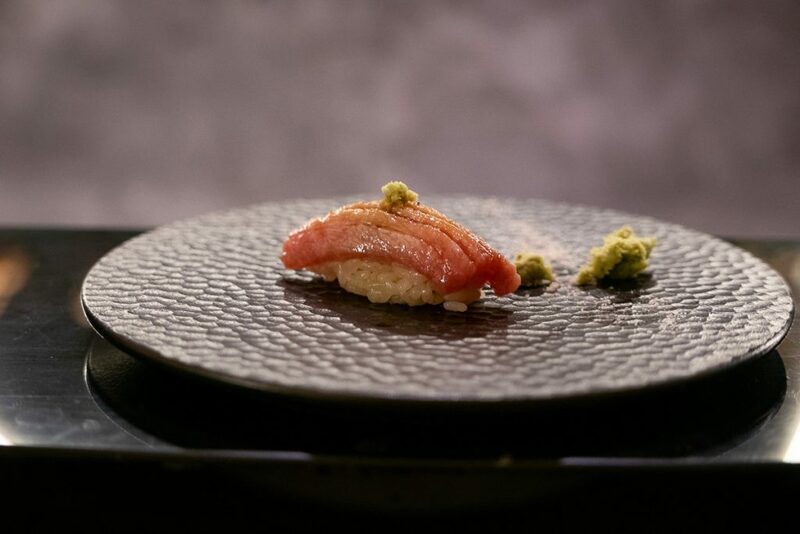 Like any omakase restaurant, Hulu Sushi serves the chef’s choice of sushi, sashimi, and other seasonal dishes. 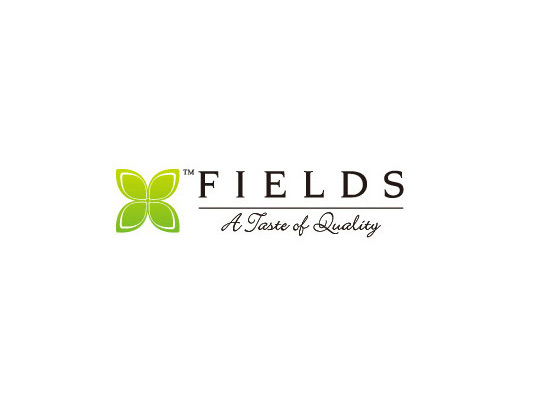 As such, the offerings are in a state of flux, changing weekly, if not daily, based on the freshest available produce. Most of the fish is imported. 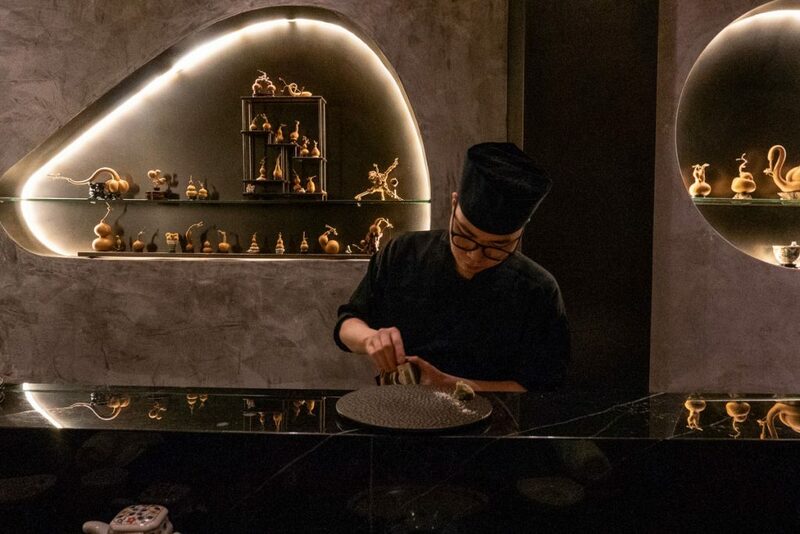 Each cut of fish has its own preparation method, which includes pre-brining and marination, additional marinade before serving, and sauces. For example, the saury is first sprinkled with salt, which is then wiped away. 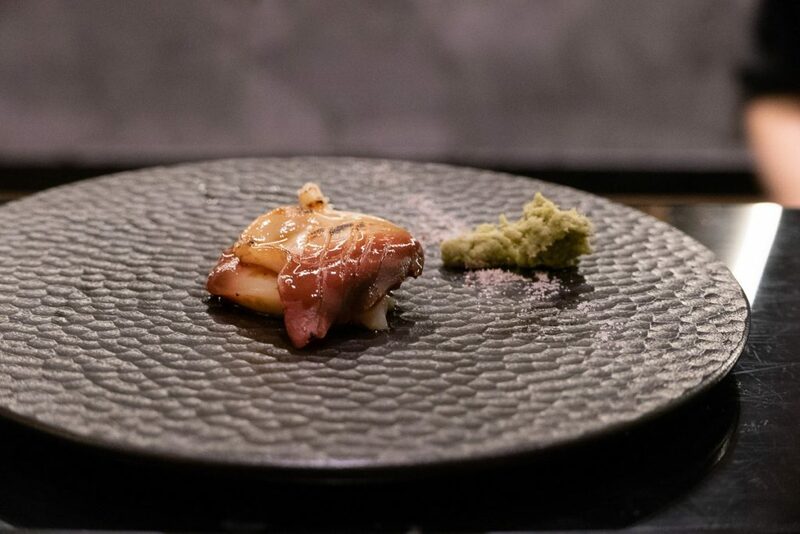 This is because the fish itself has quite a rich, roasted, meaty flavor, and minimal seasoning is used to preserve its smokiness. 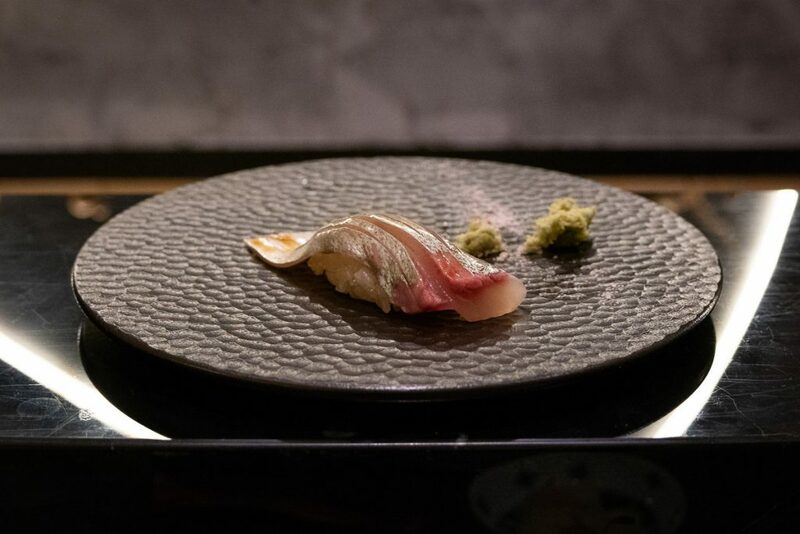 For the tuna back, it sits in salt brine for a coupe of days, and is then marinated with soy sauce before being served onto your plate as nigiri. Seeing as space is limited, there are only two seatings available: 6pm and 8:30pm. 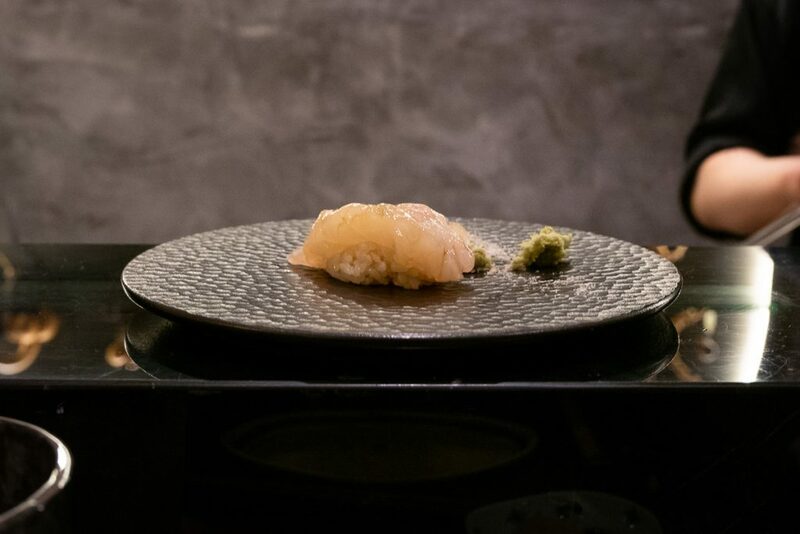 The meal is mainly nigiri-based, priced at ¥680. Drinks are additional. 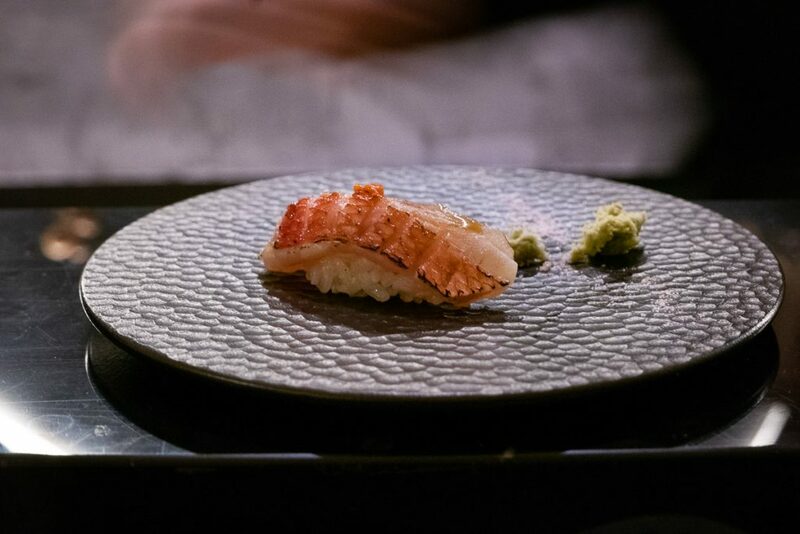 The meal starts with a simple sashimi selection, followed by a succession of nigiri, broken up by a few hot dishes, and then a dessert. I received 18 “bites” during my meal. 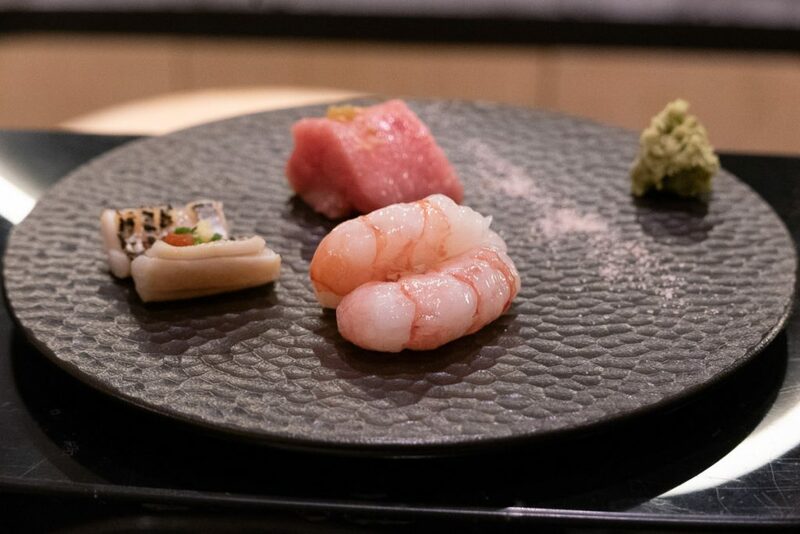 Sashimi selection: amaebi (sweet shrimp), tachiuo (cutlassfish), chu toro (medium fatty tuna) topped with a pinch of ginger. 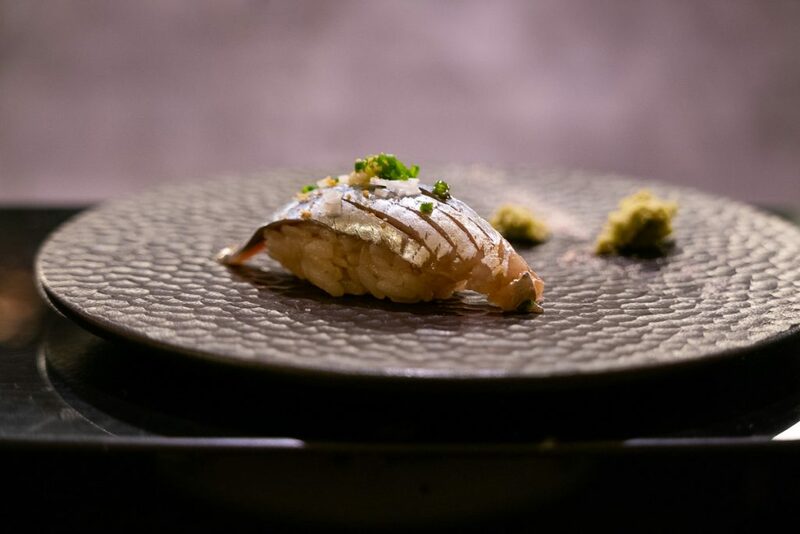 Hokkigai (surf clam), lightly torched. 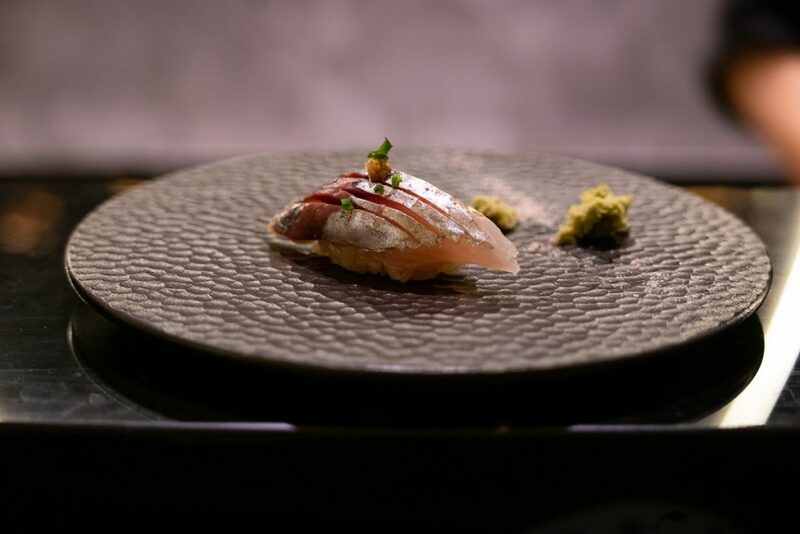 Grilled yellowtail with a touch of zest. 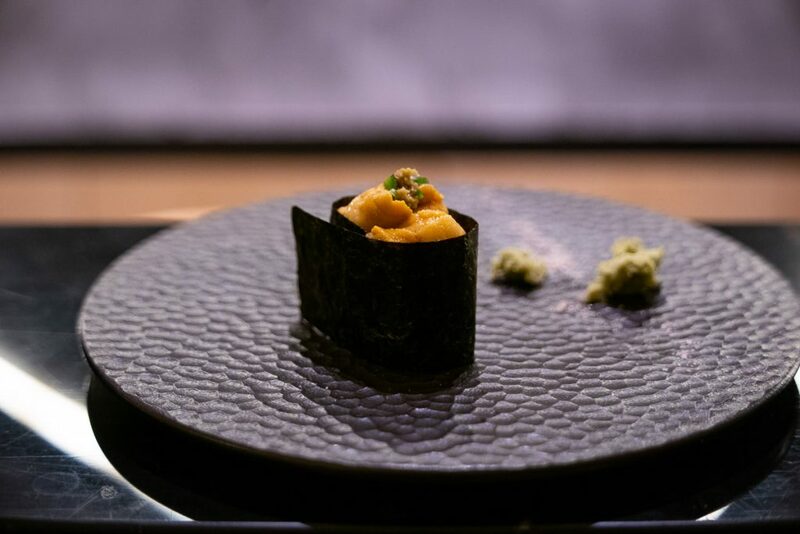 Killer combo: scallop, sweet shrimp, and uni, held together by an umami-rich sauce that’s a combination of unagi (eel) sauce and soya sauce. Lightly torched fatty tuna belly. Absolutely sinful. 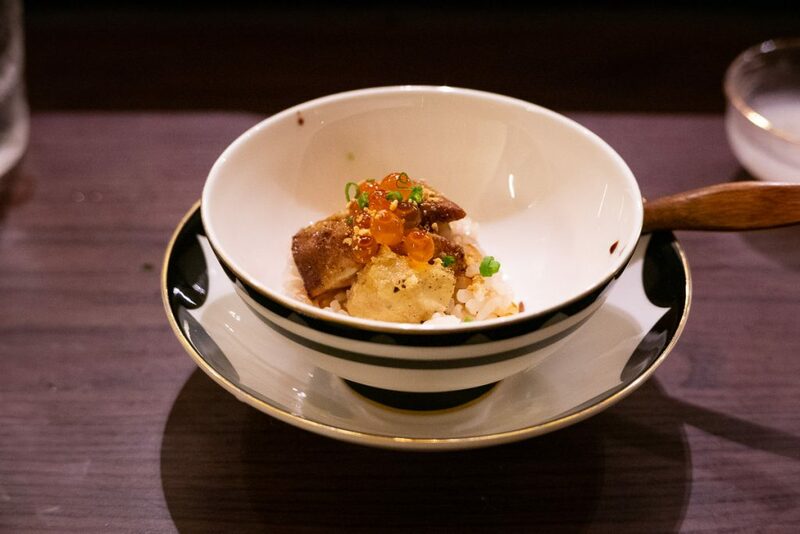 Chawanmushi (egg) with abalone, roe, flaky fish. Uni. So much custardy goodness. Sanma (pacific saury) – dark, robust meat. 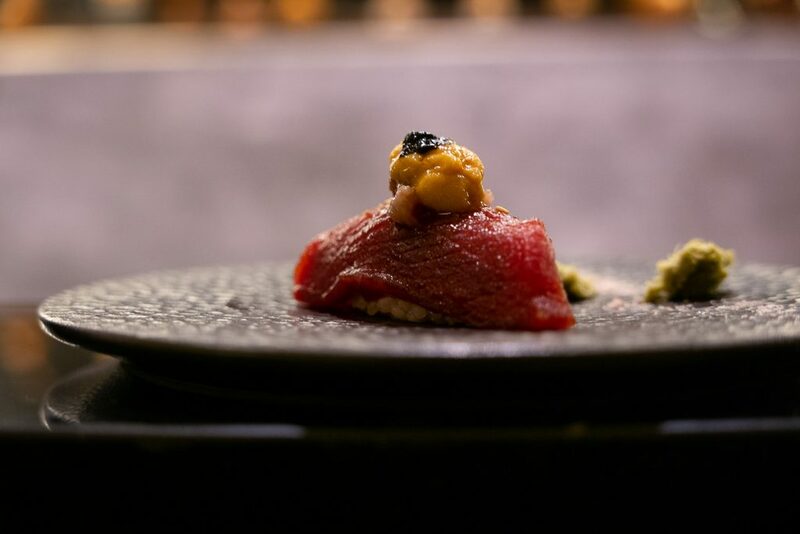 Tuna back topped with uni. 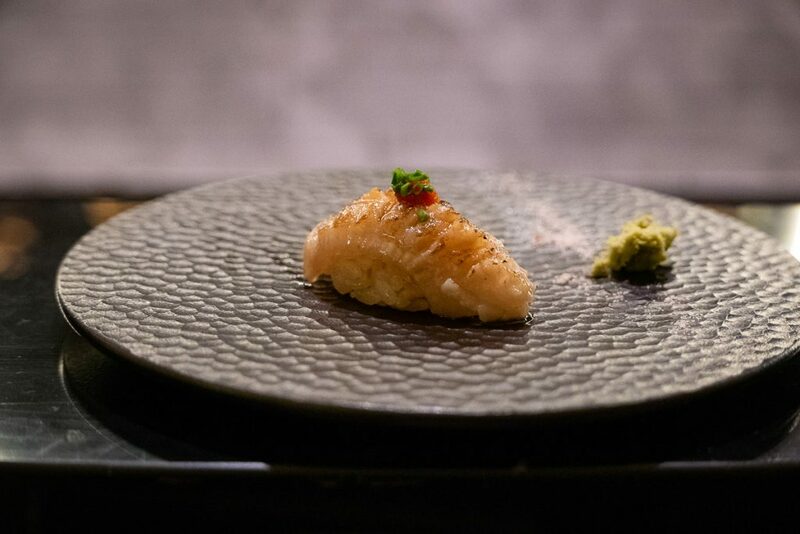 Tender, marinated with sweet and salty soy and that extra boost of umami. Unagi. Extremely flaky, so delicate. 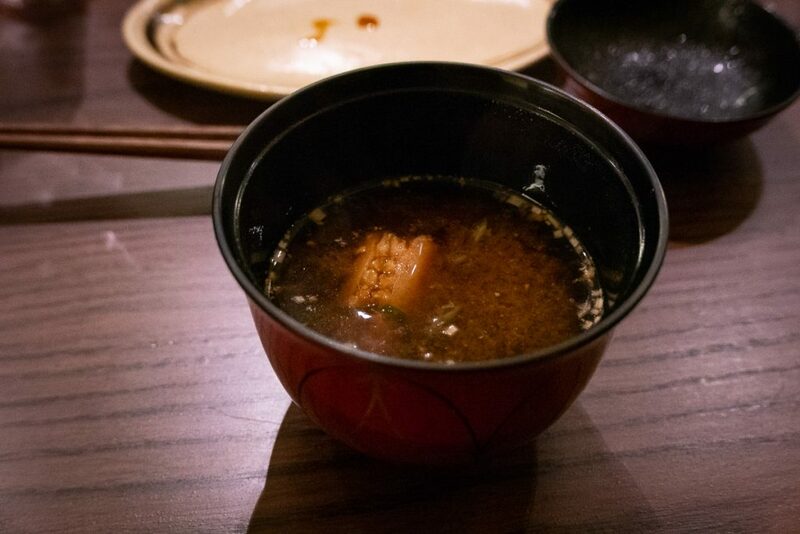 Plus, that sweet and savory eel sauce. Nothing else compares. 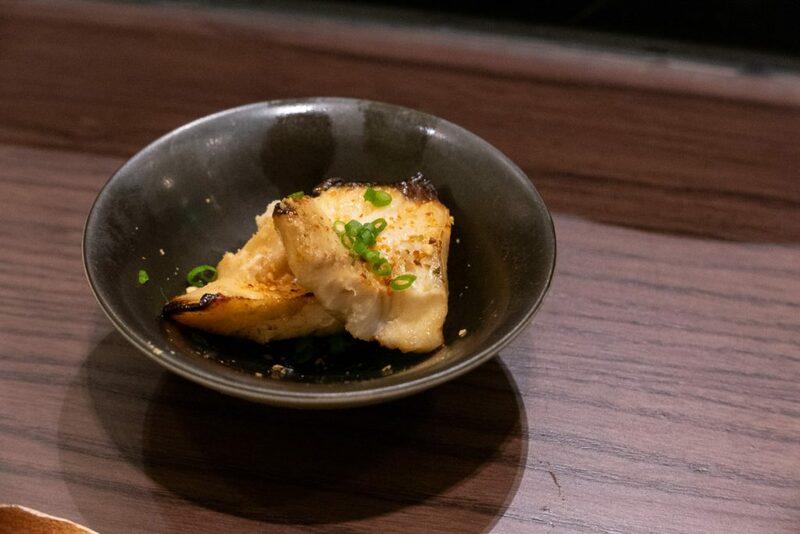 Torched flounder fin. Super fatty yet delicate. Foie gras rice with roe. 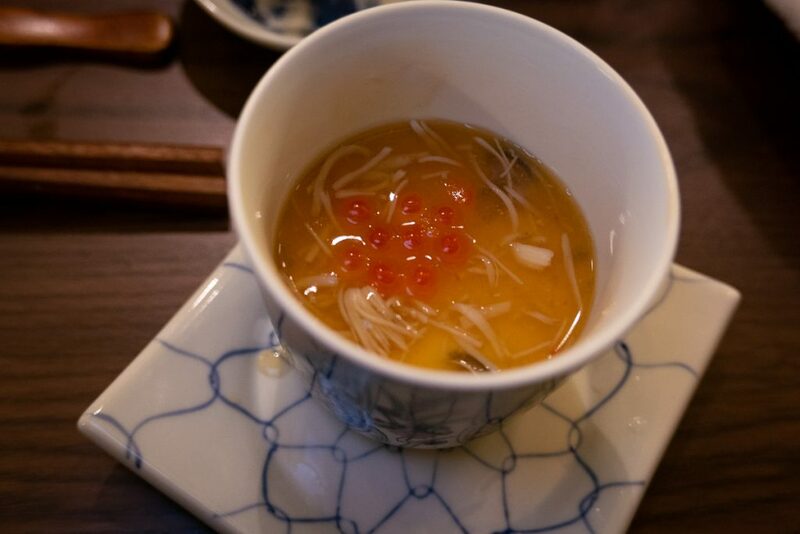 Rich seafood soup with prawn head and shimeiji mushrooms. 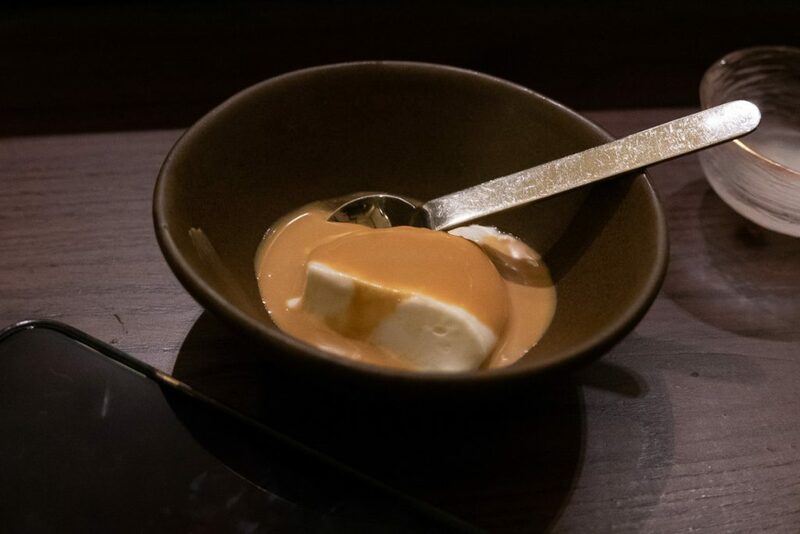 A light panna cotta with salted caramel. The ambience was a little subdued. I whispered for most of the meal, fearing that a decibel louder would break the vibe. A tables of drinking buddies would have a different effect. 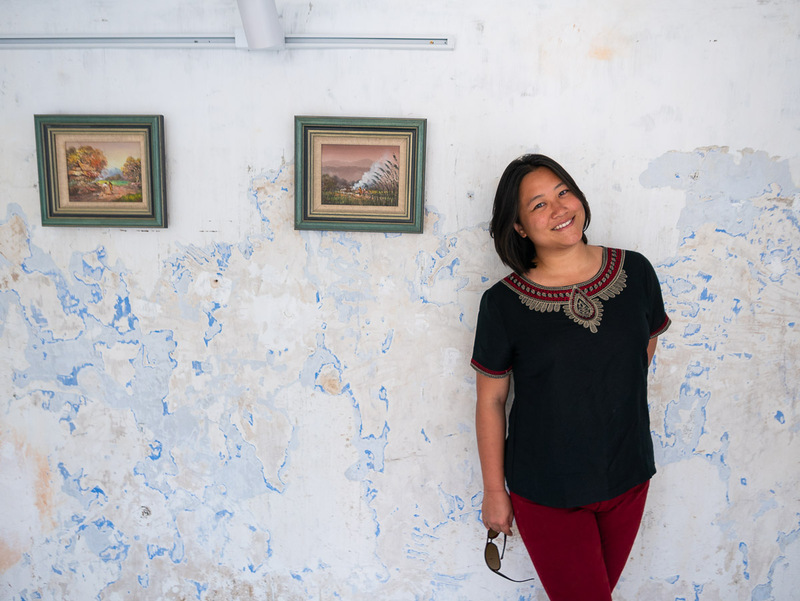 It’s good value for the number of courses, and the quality is certainly there. 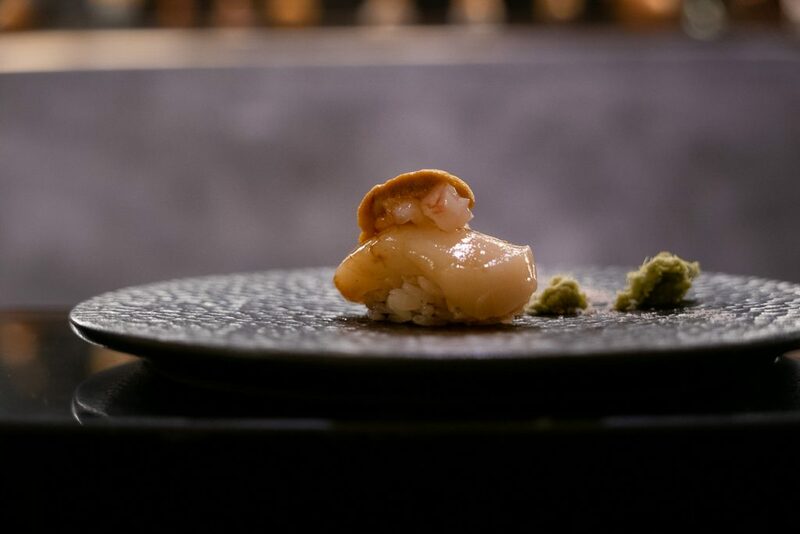 I thought the meal could use a “peak dish”, or serving of nigiri that emphasized height of the meal. For regular diners, it would be difficult to pinpoint what they had throughout the meal, especially if they didn’t take photos to reference. 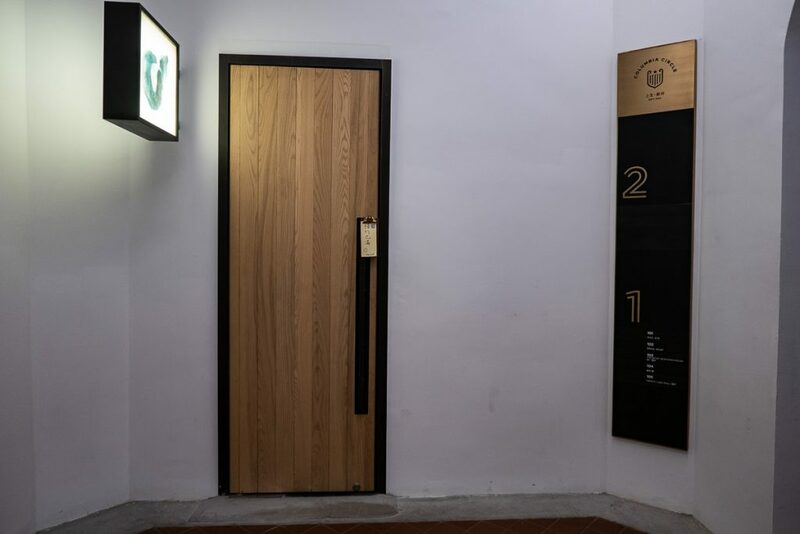 I would also suggest to take the later booking, which would be less rushed, and would give you more time to enjoy your meal and plenty of drinks. Overall, the food is well executed. I give the whole experience 8/10. 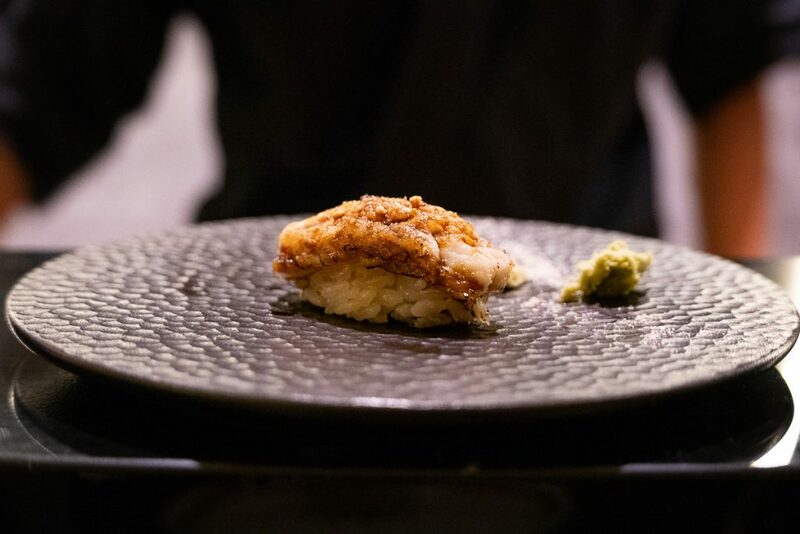 Hulu Sushi has good bones, and it is already on its way in developing its own unique character and style of omakase.